The ZLB suspects that as many as 200,000 illegally acquired books may still be in its collections, and a division of researchers (Projekt NS-Raubgutforschung) led by Detlef Bockenkamm has redoubled its efforts to locate them since 2010. Their work is extraordinarily difficult; a tiny fraction of the looted books were entered in an accession journal labeled with the letter “J” that marks them as stolen. Only provenance markings such as bookplates provide clues as to the books’ true owners in many cases. The owner of these books, Carl Neuberg, is often credited with pioneering not just the discipline, but the term “biochemistry”; he became the founding editor of the journal Biochemische Zeitschrift in 1906. In 1913, he joined the prestigious Kaiser Wilhelm Institutes, the research incubator that produced much of Germany’s dazzling success in the natural sciences in the early 20th century. His work furthered the understanding of cell biology, fermentation processes, and the function of enzymes, and he also supported the German effort in WWI through his work on the synthesis of glycerol. Neuberg’s international stature and wartime contributions afforded him scant protection when the Nazis rose to power. Like other Jewish officials of public or quasi-public institutions, he was dismissed from his post in 1933, but he was soon reinstated on a temporary basis with reduced pay and authority. In 1939, he saw himself forced to emigrate and began a journey that would lead from Berlin to the United States via Jerusalem, Iraq, Sri Lanka, Indonesia, and New Guinea. Before his departure, however, Neuberg deposited his academic library along with other possessions with the Berlin haulage and storage company, Fritz Stern. He never got the opportunity to retrieve them; many of his possessions were destroyed in an air raid and his surviving property was confiscated by the Gestapo in May 1941. 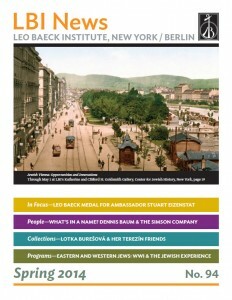 From there, as Bockenkamm team at the ZLB discovered, the books disappeared into a murky tide of cultural goods stolen from Berlin’s Jews. 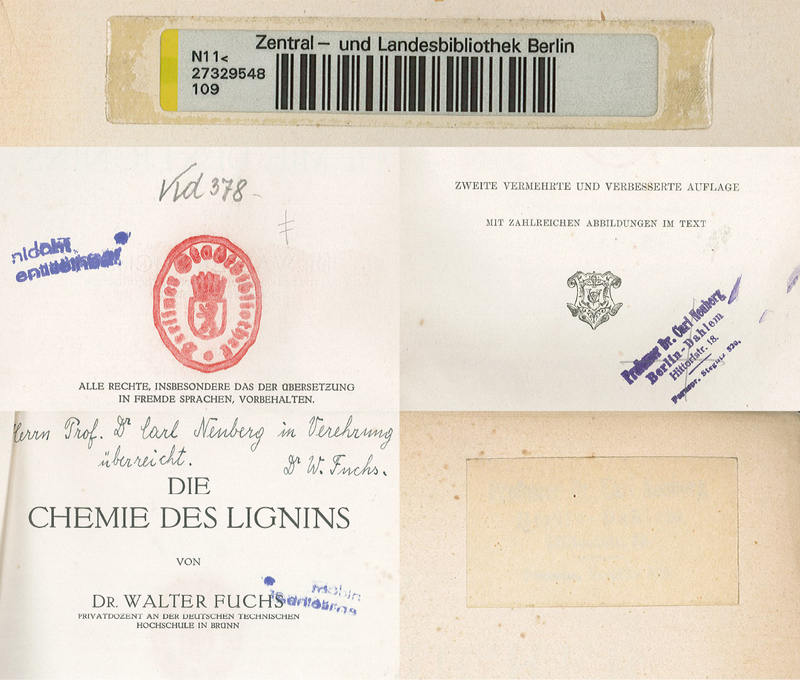 The researchers postulate that Neuberg’s books entered the holdings of the Berlin City Library (Berliner Stadtbibliothek) in 1943 as part of lot of 40,000 looted books acquired from the city’s Municipal Pawn Shop, although the evidence is insufficient to confirm this theory. Only a painstaking review of provenance marks could provide proof that the books were stolen from Carl Neuberg. 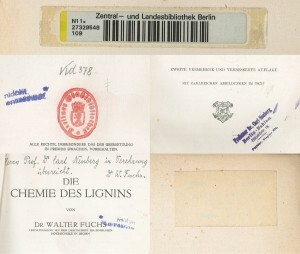 In addition to a stamp with Neuberg’s name and address in some books, the researchers relied on authors’ dedications addressed to Neuberg and even marginalia in the biochemist’s handwriting. In many cases they discovered efforts to destroy or obscure the provenance marks. Neuberg’s heirs in the United States elected to donate the books to LBI for safekeeping, a model that may lead to further additions to the LBI Library as the ZLB researchers comb the stacks for looted books. An earlier version of this article misidentified the head of the ZLB Project NS-Raubgutforschung as Sebastian Finsterwalder. The article has been updated to reflect that Detlef Bockenkamm directs the ZLB’s looted books research team, which includes Sebastian Finsterwalder and Christiane Kleist-Fiedler.